Respite Care Share is an organization founded by journalist and caregiver advocate Joy Johnston. The organization is dedicated to promoting affordable and accessible respite services for caregivers. It was selected as a top 10 idea in OpenIDEO’s End-of-Life Care Challenge. Caregiving is a 24/7 job, but not one should have to do it alone, without getting a break. Studies show that caregiver stress can lead to health problems for the caregiver and a decreased ability to provide quality care. Respite Care Share will offer resources for caregivers to get a break, whether it be for an hour or for a week. 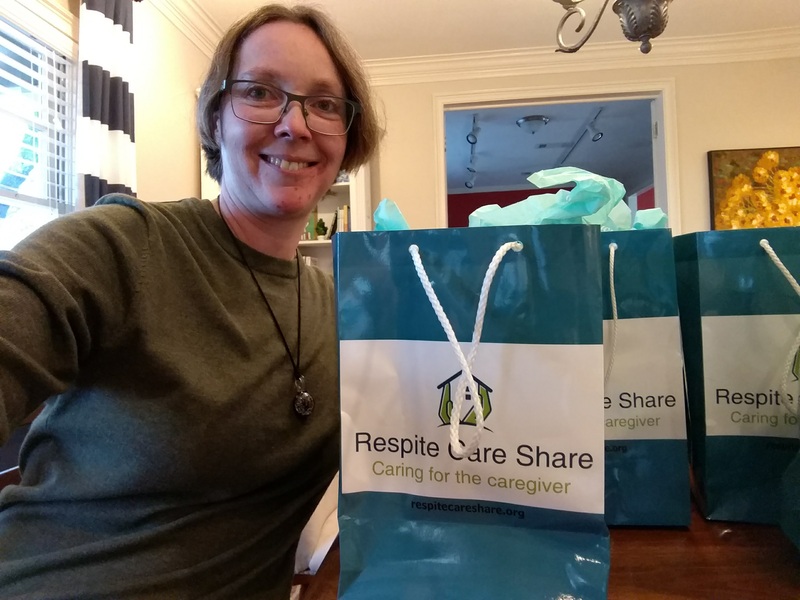 Respite Care Share is testing out the concept of Care Bags, which are distributed to caregiver support groups, and contain items like books, gift certificates and other items to encourage caregivers to take a break. If you are a caregiver seeking respite care options, we want to hear from you. We'd also love to hear from organizations who would be interested in partnering with Respite Care Share. My mother, Jane Johnston, served as my inspiration for Respite Care Share. Since her death in 2015, I have dedicated my time to caring for other caregivers. I released The Reluctant Caregiver, a collection of essays on caregiving from a nontraditional perspective, in September of 2017. The book received a gold medal at the 2018 IPPY Awards. If you'd like to learn about other projects I'm working on, visit my author website at joyjohnston.com. You can also follow me on my blog, The Memories Project.